In today’s pro-tip, I’m going to show you how to fix your audio sync issues when editing phone footage. And you can do it all in one free tool. Phones are replacing video cameras in more and more households. And we LOVE that! It means your church can start a video team without a major investment in gear. But one little hiccup you may come into is variable frame rate (VFR). Variable frame rate is what phones use to save storage space on the phone. If the phone senses that movement has slowed or stopped in the video, it kicks down the frame rate from 30 frames-per-second to 24 or 20 or lower. This makes the videos smaller so you can take more…and that’s great! When there’s more movement, it will increase the framerate. Pretty smart stuff! Variable frame rate also means that you can have ‘lip sync’ issues when you start trying to edit it with other camera footage. You’ll get weird and inconsistent sync problems with the audio… especially if you’re using audio recorded on another camera (like a video camera or DSLR) or an audio recorder like a Zoom H5. But MPEG Streamclip gives you a reliable way to fix your video so you can edit and avoid audio sync issues. Adobe Premiere and Final Cut Pro can handle some VFR footage, but I often still come across audio sync issues. Defining the framerate in MPEG Streamclip lets me bypass those potential issues. The video quality is unharmed. When you’re in charge of church media, you never want to turn down footage. The moment you do, you’ll stop getting user-generated content from church volunteers and members. 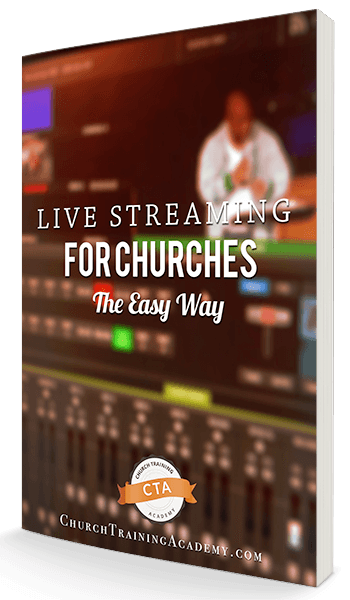 Use a tool like MPEG Streamclip so you can accept phone footage from church members without worrying about audio sync issues. It may be an extra step in your editing workflow, but it will save you time when you could be faced with random audio sync issues during your edit. Do you have other issues when collecting media from volunteers? Let us know in the comments below! Live streaming doesn’t have to be expensive or time-consuming to start. 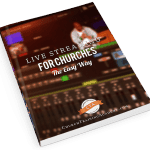 Take your first steps to learn how to live stream your church and share the message across your city, state, even the world! Think it’s too hard? It’s NOT! Get your FREE guide and you’ll see just how easy it is to add live streaming to your ministry! You’re gonna love it!